Our Moisturizing Day Cream – 50 ml is more than just a moisturizer – it provides abundant hydration and moisture, yet is formulated to actively work at keeping your skin looking youthful and to keep the signs of aging at bay. This Moisturizing Day Cream does not simply moisturize your skin, it also deeply penetrates and improves the hydration of the skin and counter-acts negative influences, such as being in an air-conditioned room the entire day. Apart from supplying abundant moisture to your skin to keep it plump, supple and elastic, the herbal active ingredients will pro-actively work to maximize the health of your skin, and to fight aging the natural way, by increasing circulation and stimulating the collagen, to keep a firm and youthful looking skin, while ensuring that the elastin in your skin is healthy and protected to promote a more elastic and supple skin. The herbal actives will also help repair damage already caused from neglect, excessive exposure to the sun and the negative effects of previous bad skin care. The herbals are also selected so that they will help with minor skin problems and promote a healthy skin tone, color and texture. Few other moisturizing creams have so many active herbal and botanical extracts, and are as effective in getting, and keeping your skin in good health and delay aging for as long as possible. Our Herbal Moisturizing Day Cream was specifically created to contain an eco-certified preservative and all natural plant extracts and essential oils. The Herbal Moisturizing Day Cream has an unique, natural and extraordinary formula, in which a blend of various pure herbs and natural ingredients are combined. It contains the following herbs and natural ingredients, with Centella as the signature ingredient: Olive Extract, Centella, Shea Butter, Grapeseed, Apricot Kernel Oil, Galbanum essential oil, Vitamin E, German Chamomile Oil, Sesame Seed Oil, Rosemary Leaf Extract and Soy Bean Oil. Olive milk provides the base for our moisturizing day cream. Olive milk nourishes dry skin and is used to help maintain skin suppleness, while soothing the skin and protecting it from the affects of the sun and water and other external aggressors. Olive is great to improve skin feel and to increase skin compliance, while reducing irritation – increasing skin hydration and moisture content at the same time. The wax extracted from olives is also very high in natural squalene – this highly prized ingredient is normally obtained from sharks – but here olives give us a botanical alternative, thereby eliminating the need to harvest this compound from sharks. Squalene is used in skin care products as it is highly emollient and is a natural antioxidant. 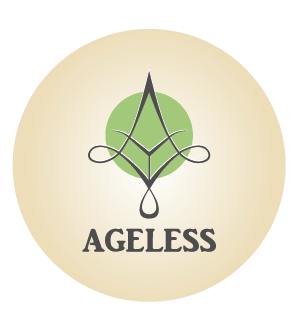 Our signature ingredient in the Ageless Range, making our moisturizing day cream a fantastic moisturizer for every day use. Galbanum essential oil is our secret ingredient, known to the ancients for its mystical, regenerative power and included in our moisturizing day cream for its powerful properties. Excellent when used on the skin as it helps to regenerate skin cells, Galbanum is healing and was sometimes used to help wounds heal and to clear and heal ulcers. It is said to bring relief to aches and pains in the extremities, breathing difficulties, indigestion and problems with blood circulation. It has a protecting action against UV radiation – although it cannot be classed as a sunscreen. It is an excellent moisturizer and contains powerful anti-inflammatory action – this prevents premature aging, as inflammatory conditions in the skin is a leading cause of skin aging. It has excellent wound healing properties. Apart from all of these excellent qualities, vitamin E also enhances and helps with the penetration of other compounds into the skin and is itself well absorbed by human skin. German Chamomile oil has a special chemical composition and is ideal for use on sensitive and delicate skin, having excellent decongestant properties, as well as being a powerful anti-inflammatory. Apart from the anti-allergy effect it has, it also is active in wound healing as well as in healing ulcers. Furthermore, it has great scavenging properties, neutralizing free radicals, and thereby preventing oxidative stress and aging, while the vaso-dilating properties promote circulation to the skin. Sesame oil is a good source of vitamins E and B complex and minerals; such as calcium, magnesium and phosphorus, while containing protein as well as lecithin. Although it is rather a thick oil, it is often used for treating eczema, psoriasis and dry, stressed and mature skin and it contains excellent moisturizing properties. This combination is used for its antioxidant effect in formulas and helps to boost the effectiveness of the preservative and to keep the formula fresh and to stabilize the product. For a full list of the ingredients contained, please click here. Cleanse the skin with our Herbal Face Wash and pat the skin dry. Apply the Moisturizing Day Cream by placing a small amount on the tips of your fingers, rubbing your fingertips together and then gently smoothing it onto the skin with upward and outward strokes to your face and neck. Easily absorbed by the skin and can be used without make-up or under make-up. Has no oily, greasy or tacky residue after application. Moisturizes the skin and penetrates into the skin to improve hydration and helps to create a fine soft healthy looking complexion. Helps to prevent wrinkles and lines. All natural ingredients to help improve the health of the skin.